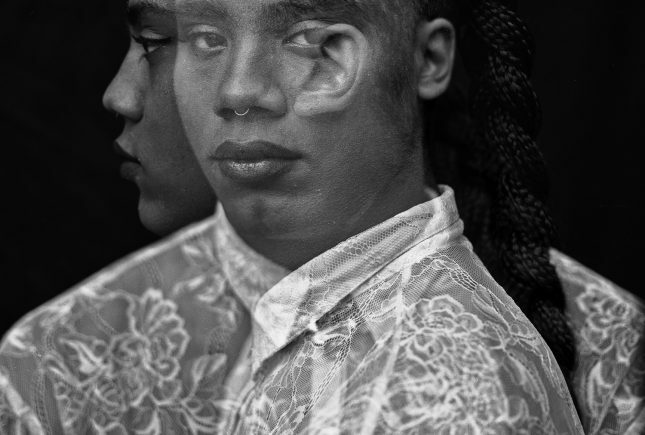 Kiyan Williams (pronouns they/them) is a multi-disciplinary artist whose work explores Black queer subjectivity. Kiyan Williams (pronouns they/them) is a multi-disciplinary artist whose work explores Black queer subjectivity. Based in New York City, they have performed across the country and internationally at venues including: Dixon Place (NY), JACK Theater (NY), La Mama Experimental Theater Club (NY), The Public Theater (NY), SFMOMA (CA), SOMArts (CA), Bing Concert Hall (CA), and Orpheum Theater (Graz, Austria). As an artist engaged in the Black Lives Matter movement Kiyan has facilitated healing spaces in New York, Detroit, Denver, and Cleveland. Using Afro-Diasporic cultural expressions they co-create cyphers that allow Black people to mourn and grieve violence as well as celebrate Black life. Kiyan studied performance theory and practice at Stanford University, where they developed work with Cherríe Moraga, Aleta Hayes, Anne Carlson, and Guillermo Gómez-Peña / La Pocha Nostra. Kiyan is an alum of the EMERGENYC Performance Fellowship at the Hemispheric Institute at NYU and the Create Dangerously writing intensive at the Obie-winning JACK Theater in Brooklyn. They are a Trans Justice Funding Project grant recipient. Most recently an excerpt of their performance project Unearthing was featured in the 25th annual HOT! Festival at Dixon Place, the world’s longest running queer performance festival.